Windshield wipers are one of the common accessories of a vehicle but they are an integral part of a car. A simple yet important part of a car, windshield wipers help drivers to see as clearly as possible during rainy weather, snow, and even clear out residing dirt and debris on the windshield for a clear view of the road which is a critical requirement to be able to drive properly. A wiper system consists of blade arms, the rubber blades and the most important part, the motors which control the movement of the wiper blades. Activating the wipers send a signal to the wiper motors, which then operate the arms in a repetitive up and down motion, clearing the windshield of any water or dirt to clear the view. But the amount of rain or dirt may vary for which, the car manufacturers program the windshield wiper motors to operate at different speeds as per requirement, depending on the weather. Unfortunately every component or part of a vehicle goes bad at someone point or another, overextended usage or unexpected damage and excess wear and tear. The wipers could stop working properly due to a number of reasons. Sometimes only the wiper blades get damaged which isn’t hard to replace but if your wipers are fine but still the system isn’t working as it should or your suspect it’s the motor, you will require to visit a mechanic and get your wiper system checked up. Here are a number of symptoms you can look for, which can help know exactly what to go to the mechanic for. If you switch on the wiper and the wipers don’t operate at all, there’s a chance that your wiper motors aren’t getting the power at all and it could be a problem with the wiper relay but in some rare cases, the wiper motors itself can go bad, having you to visit a mechanic to get them replaced. If the relay or wiring is the issue, it’ll save you the cost of replacing the motors. But if the wiring and relay don’t seem to be the issue, sadly you’ll need to bear the expense of new wiper motors. If you see that your wiper is operating slower which isn’t the speed it used to work at before, there could be thick dirt or debris stuck somewhere in the moving part of the motors, causing them to turn over slower because of the increased friction. In that case, you will need to get it checked and cleaned up by a good mechanic. The motors will need to be taken out and cleaned thoroughly to free the motor. This would mean that your wiper module hasn’t gone completely bad and can be repaired by a certified mechanic. Upon switching on the wiper motors, and setting it to different speeds, you find out that all the switches are operating the wipers at the same speeds. The slower speed is the same as the fastest speed. If that’s the case, there’s a higher probability that your wiper system’s intermittent relay has gone bad rather than the motor since the motors work nonetheless. In that case, your problem won’t be as costly as replacing the motors as your mechanic will diagnose the issue accurately and replace the intermittent relay, which will restore your wiper module’s different operating speeds. A wiper is programmed to work in a repetitive up and down motion. If your wipers stick in the middle or don’t start immediately, it could indicate bad wiring or a bad relay. In worse cases, it could turn out to be a bad motor altogether. In such cases, it can prove difficult for someone without relevant knowledge to properly and accurately diagnose the issue and getting it checked by a certified mechanic is a must to avoid getting a component replaced which might not be faulty. The wipers don’t stop at their designated place or stop without returning to the ‘resting’ point. The wiper motors are programmed in such a way that after switching them off, they return to their resting point, that is, at the bottom of the windshield, one of the top of the other. This is critical because the wiper blades should not be resting anywhere in the middle of the windshield which could compromise vision in any way. If the wipers don’t go back to their initial point, it could mean bad alignment of the arms, if they were replaced recently. If they weren’t replaced, and you still face this issue, the problem could very well be with the motors. Usually, a common man isn’t able to diagnose and address motor related issues himself due to not having the right tools and relevant information to perform a repair or replacement. But replacing damaged wiper arms and blades can be done with little knowledge as it doesn’t require the owner to take apart anything. Although if the motors are bad, one will need to consult a certified mechanic to address the issue as proper diagnostics and accurate pinpointing of the problem can be done by mechanics. Self-diagnostics should be started by checking the fuses as often times, it’s only the fuses and relays which go bad which the owner can replace himself/herself. Relays can be diagnosed by the clicking sound they make, when given power, indicating that the internal magnetic switching is working as it should. 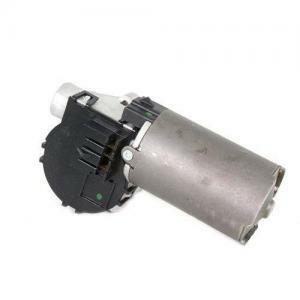 Although it really depends on the make and model of a vehicle, an average estimated cost of a windshield wiper motors can range from $250 to $450 and parts such as relays and switches cost around $70 to $100 depending on the make and model of the car while labor costs can range from $50 to $150.